People sometimes ask about my family background. I have been working on learning everything since January 1962. I've thought long and hard about sharing it with our podcast audience, and have finally decided to tell some of the tales. You'll see more over time, if you like it. My favorite aunt was Mary Allen Morgan. It is the poignant story of her life that I want to share first. Here is the beginning. Mary Allen Morgan was born on 14 June 1905 in Mebane, Alamance County, North Carolina. She was the first child of Samuel Goodloe Morgan and Laura Augusta "Minnie" Wilson Murphy Morgan. This was Minnie's second marriage. Her first was to Jeter Earnest Murphy on 2 February 1898. Unfortunately, though, he died on 9 July 1898 of typhoid fever. She returned to her parents' home to live. Minnie married Sam Morgan on 24 December 1902 at her parents' home with only immediate family in attendance. The minister, J. M. Grier, was the same man who performed her first nuptials. Sam and Minnie moved to their own home in Davidson, North Carolina. Mary Allen, as she was always called, was a beautiful child, with blond curls and blue-grey eyes that captured attention. Sam fell in love with her. But all was not well. Minnie was was ill-prepared for motherhood, and had little idea of what to do with a child. Having been raised by an African-American woman herself who had been born into slavery, Minnie became a demanding and spoiled child. She had a maidservant from the day of her marriage. And so when she became pregnant with her first child, she demanded of her husband Sam that she have a female servant to "do for" Mary Allen. That included all of the nursery work. In effect, Minnie turned over all responsibilities to that woman known by the name of Caroline. Caroline was given the task of finding a wet nurse for the child just before she was born. 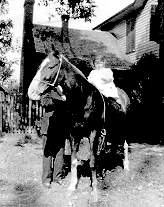 Mary Allen and Jack, 14 June 1907. Mary Allen's father, Sam, worshiped her in every way. He brought her sweets in the pockets of his jacket. He gave her presents such as as a doll, doll clothes, a doll carriage, building blocks, and books to be read to her. In the Summer of 1907, he presented her with with a dog named "Jack" for her first birthday. You can see her with Jack in the front yard of the family home. Mary Allen atop the family horse. Sam fancied that she might like riding and helped her ride the family's horse in the yard beside their two-story home on Center Street in downtown Mebane. Minnie was apparently appalled that anyone might see her daughter astride a horse and demanded that she be taken down. Immediately! The horse was sold within days. Sam was the oldest of three brothers. He was a graduate of Trinity College in 1900, having studied mathematics and accounting. Trinity later became Duke University. His next youngest brother, William Rainey "Will" Morgan had a love of the land and became a farmer in Caswell County, North Carolina, where all three brothers were born. The youngest brother was John Allen "Jack" Morgan, and he too graduated from Trinity College in 1906 after having studied mathematics and finance. Sam had come to Mebane in 1902 to take a position as cashier at the Farmers Commercial Bank. He purchased the family home on Center Street, just three blocks from the bank, and that is where he and Minnie settled. He could walk to work if he liked, but Minnie insisted he always be driven to and from work in a carriage. She wanted him to be seen as a successful young businessman. In the meantime, Minnie set about becoming involved with society in Mebane. She began by immediately transferring her membership to the First Presbyterian Church and regularly attending services with Sam. She joined other women of the church in their activities, and she insisted that Sam become involved teaching Sunday School and joining the mens' group. Minnie made contacts with the more well-to-do female members and began inviting the ladies to the house for tea and refreshments. 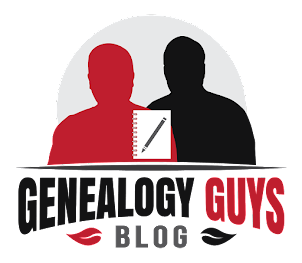 Her insistence in Sam's participation helped insure that he became acquainted with and visible to the influential men of the town who were Presbyterian by affiliation. As a result, both Sam and Minnie became well known in the town as members of "society." In the meantime, Caroline took care of Mary Allen and mothered her. Mary Allen was a healthy child who smiled and laughed. She adored her father and he her. In 1908, he bought a ram's skin rug with long fur and finished with a burgundy-colored woolen base to which it was mounted. He teased her that she was going to stand on that rug when she was married. A photograph taken in 1908 (left) shows Mary Allen with her favorite doll posed on the ram's skin rug. She kept that rug until she died. Minnie was not satisfied with life in small-town Mebane. She visited Durham, Raleigh, and Burlington to shop and her outings were reported in the local newspapers. She also traveled to Mecklenburg County to visit her parents and her siblings and their families who remained there. Sam, Minnie, and Mary Allen went to stay with Minnie's parents for Christmas in 1908. One of Minnie's brother's, Emory Lee Wilson, and his wife, Dora Ester McKey Wilson, had opened a hotel in Black Mountain, Buncombe County, North Carolina, east of Asheville, in 1908. Black Mountain was a tiny town in a spectacular scenic area. With the arrival of the railroad in 1879, the town began to become a tourist destination during the summer months. By the time of the 1900 US federal census, the population was 209. Emory's hotel developed a regular clientele, and the hotel was open from the end of May until September. In early 1909, Minnie decided it would be fashionable - and cooler - to spend the summer in Black Mountain. Sam made arrangements for them to travel together there in May and off they went together with Mary Allen and Caroline to look after Mary Allen's needs. Sam stayed in Black Mountain for a few days to see them settled in, and he then returned by train to Mebane to his job at the Farmer's and Commercial Bank. But Minnie and Mary Allen would not stay the entire summer. Instead, Minnie discovered (or revealed) that she was pregnant with a second child. Sam insisted that Minnie come home before the pregnancy got too far along and became visible. At the end of June or the beginning of July, Sam came back to Black Mountain to accompany Minnie, Mary Allen, and Caroline back to Mebane. I can only imagine that Minnie was fit to be tied. 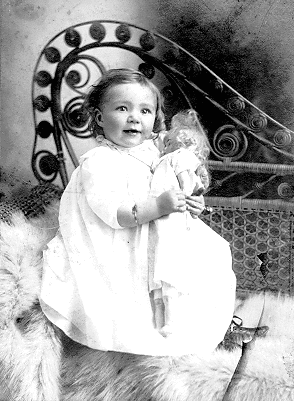 The second child was born on 18 December 1909, a son named Samuel Thomas Morgan. He was my father. - (C) George G. Morgan. All rights reserved.